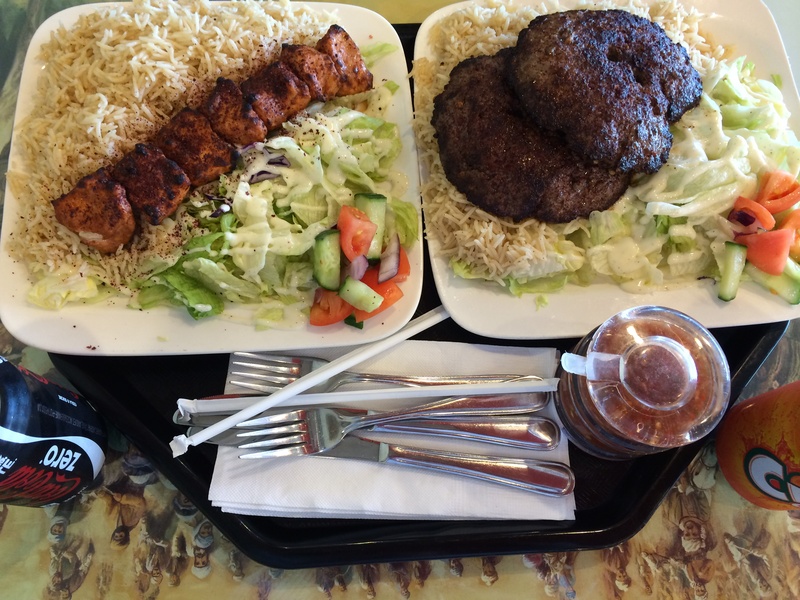 Check out our review of Naan & Kabob on Halal Foodie. This restaurant is our favourite and we highly recommend it! 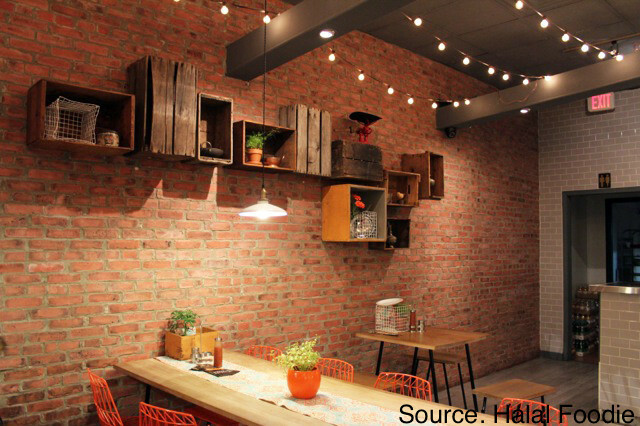 Categories: Restaurant Reviews | Tags: Bolanee, canada, Chapli Kabob, Chicken, dinner, Firnee, Food Network, Food Network's Restaurant Takeover, GTA, Halal, Halal Chicken, Halal Food, Halal Food Enthusiasts, Halal Food Review, Halal food toronto, Halal Restaurant, Kabab, Kabob, Kebab, lunch, Mantu, Naan, Naan & Kabob, Naan & Kabob Restaurant Takeover, Restaurant Takeover, Scarborough, Toronto | Permalink. As much as we enjoy eating steaks, pastas and burgers, we also enjoy eating bun kababs and parathas. We are fairly picky about eating South Asian food outside because we almost always return disappointed. However, there’s one take-out that’s been tried and tested and has won our hearts for bun kababs and paratha/naan rolls: Zeerah! 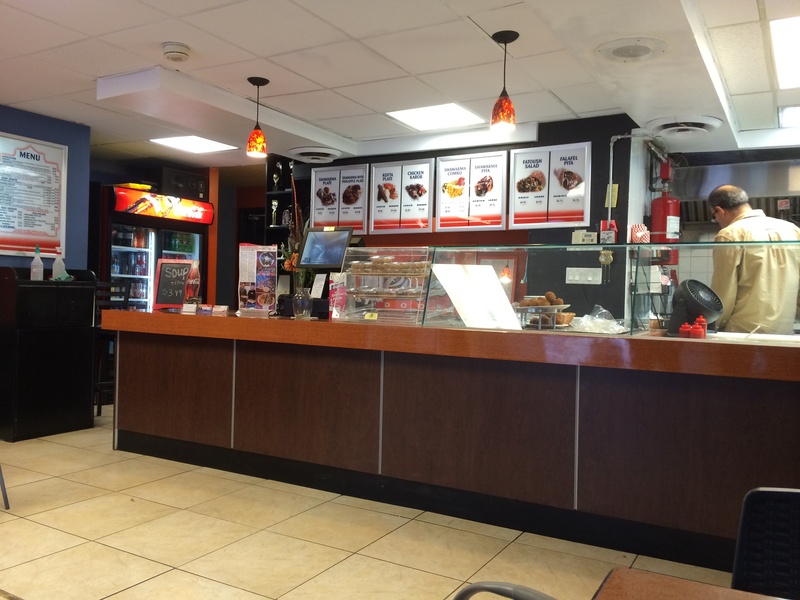 Zeerah is a Pakistani take-out restaurant on 3050 Artesian Dr # 16, Mississauga (Hwy 403 & Winston Churchill). It’s right off the highway and since it’s a take-out it’s fairly convenient. Though we’ve heard a number of items at Zeerah are great, we’ve thus far only tried their bun kababs and naan/paratha rolls. We apologize the pictures we took didn’t turn out great, as we didn’t want to unwrap our food too much and wanted to enjoy it as-is. We recommend that you visit their website (listed below) to view better pictures. Firstly, we had Beef Bun Kabab with Egg: one bite and we were loving it. A perfect combination of beef shami kabab, spicy chutney, onions and plain omelette egg. It was pure goodness! It had perfect amount of spices and was super tasty! 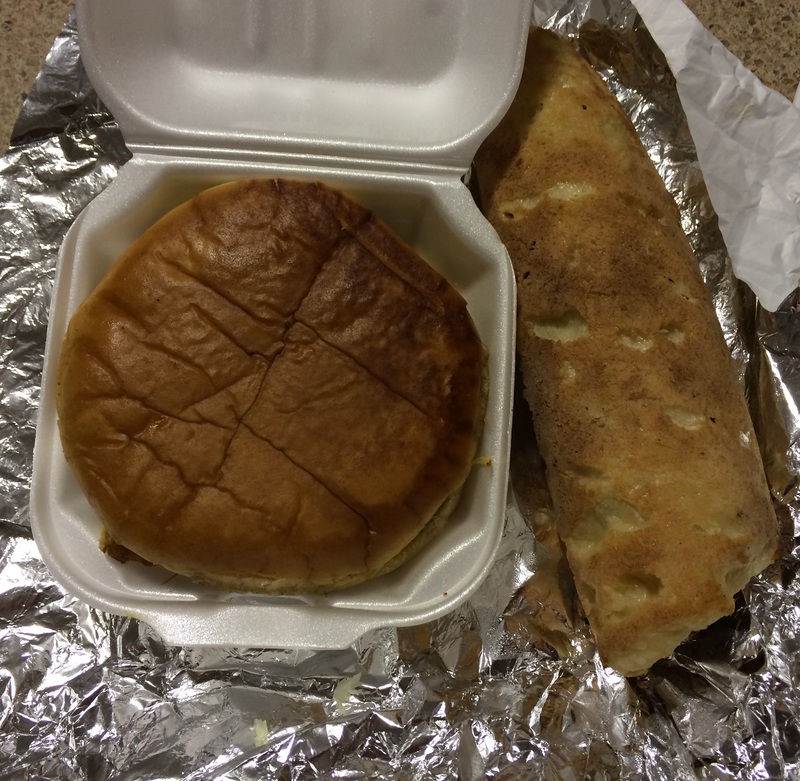 Up next, Chicken Boti Roll: we opted for naan for the roll. Chicken boti was very well seasoned, as it should be in a desi style kabab roll. Naan was piping hot and very soft. Since we consume naan fairly regularly, we agreed it was perfect for the kabab roll. Chicken boti accompanied with onions and green chutney (might we add, spicy) in a tandoor naan turned out to be a great combination. 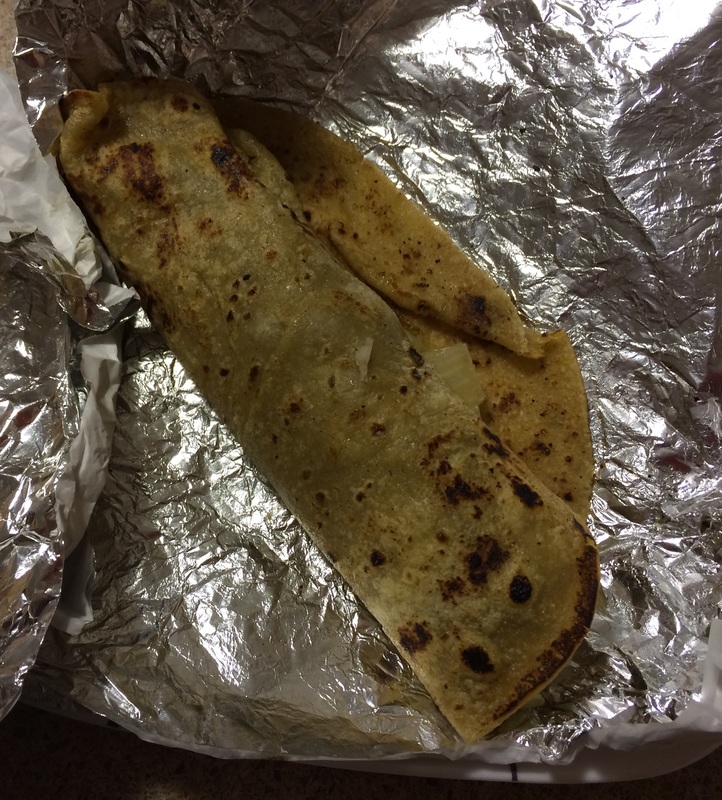 We had Bihari Chicken Roll: we decided to pair bihari chicken with paratha. We were concerned that it may be a pre-made paratha that you warm up and serve. It turns out that the paratha was made from scratch and tasted great. So bihari chicken paired with green chutney in a great tasting paratha made us enjoy our roll very much! Lastly, we order Halwa Poori Breakfast from Zeerah on weekends. Their single order consists of 2 pooris, spicy aloo (potatoes), chickpeas and halwa. Of the various places we’ve ordered halwa poori breakfast, Zeerah certainly tops the list! In our humble opinion, paratha was a better choice, but we enjoy naans just as much. If you enjoy spicy desi food and have had great tasting bun kababs and rolls back home, you’ll agree that Zeerah compels you to enjoy every bite of the aforementioned items. p.s. We are in no way related to Zeerah. We truly enjoyed the items we tried and it’s rare that we come across good tasting Pakistani food outside. Hope you enjoy their food just as much as do! Categories: Restaurant Reviews | Tags: Aloo, Bihari Kabab Roll, bun kabab, Bun Kabab with Egg, canada, Chanay, Chicken, Chicken Boti Roll, Cholay, desi, dinner, Eggs, Food, GTA, Halal, Halal Food, Halal Food Review, Halal Restaurant, Halwa, Halwa Poori, Mississauga, Naan, Pakistani, Paratha, Poori, take-out food, takeout, Zeerah | Permalink. We’ve been restaurant hopping when it comes to Afghani food. Recently we came across Afghan Kebob Cuisine and liked it because we found their food to be spicier. Afghan Kebob also has a number of locations in the west end. 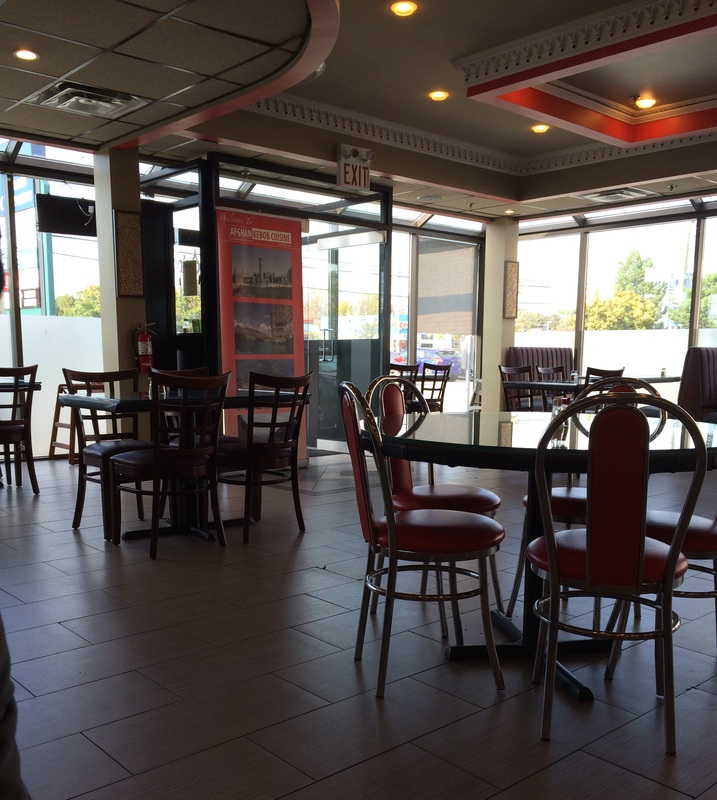 We happened to visit the one in Mississauga (on Dundas Street, between Hurontario & Cawthra), which we thought was huge with ample seating. Since it was lunch time, we decided to get their lunch specials: Chaplee Kebob Plate and Tandoori Chicken Plate. We certainly enjoyed their rice/pulao, as you could tell they had a decent amount of chicken broth in there, which resulted in deliciousness! As for chaplee kebobs, they were seasoned to perfection and cooked very well. They didn’t feel overdone or underdone and super succulent. Now this is something that is hard to find in chaplee kebobs. Of course they were nice and spicy and their Tomato Sauce was spiciest we’ve tried thus far. Hence, we were sold on chaplee kebob plate! As for tandoori chicken, we found it to be well-seasoned and marinated as well. It was certainly spicier than what we’ve tried elsewhere, so we enjoyed it just as much as chaplee kebobs. The portions were huge and the price was good for lunch: $7.99, which included choice of your kebob, rice, salad and pop. They also have a decent lunch and dinner menu and offer catering, which we thought was reasonably priced. Since our first visit, we’ve been there a couple more times and have enjoyed their food. Categories: Restaurant Reviews | Tags: Afghan Food, Afghan Kebob, Afghan Kebob Cuisine, Afghani Food, Chaplee Kebob, dinner, GTA, Halal, Halal Food, Halal Food Review, Halal Restaurant, lunch, Mississauga, Pulao, Rice, Tandoori Chicken, Toronto | Permalink. Mississauga has no shortage of Middle Eastern fast food restaurants and we have our favourite(s), but we wanted to try something different. Since we were in the Streetsville neighbourhood we decided to do visit Chef’s Door. Chef’s Door is located in Streetsville’s quaint neighbourhood. There are tons and tons of nice restaurants, including Middle Eastern fast food restaurants, all at a walking distance. Chef’s Door has a spacious seating area and an open concept kitchen, so you can enjoy watching your food getting prepared and select toppings and sauces of your choice. 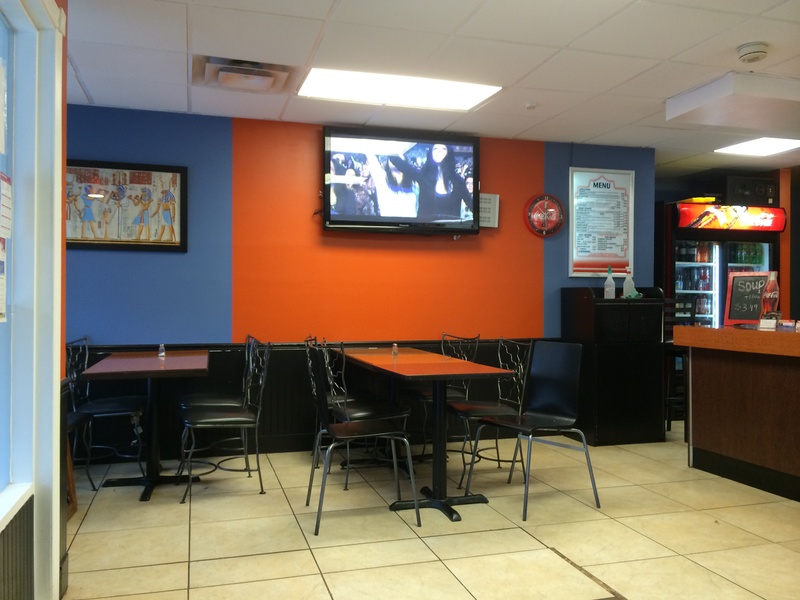 They do have a TV as well (with Middle Eastern entertainment programs), so if you’re doing take-out like us or dining in, you won’t get bored. Their menu offer similar variety as most other Shawarma restaurants. We already had our minds made up and decided to order Chicken Shawarma Plate and Chicken Shawarma Wrap. 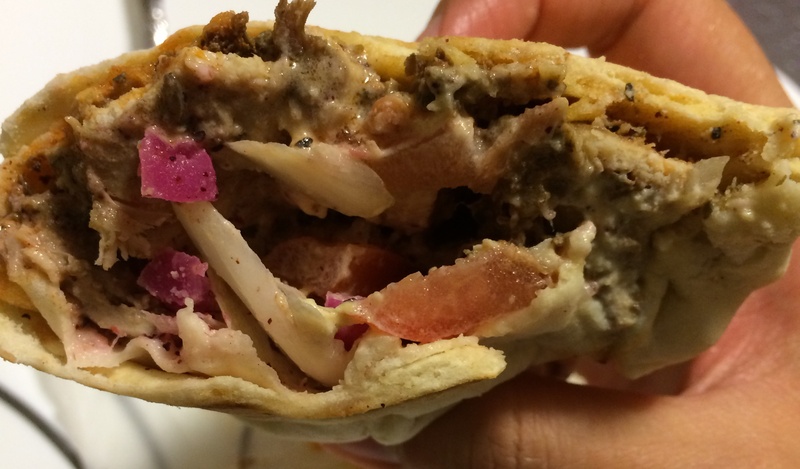 We first tried Chicken Shawarma Wrap and loved it. There was ample chicken in the wrap and the sauces were amazing. We devoured it within minutes. There were no regrets whatsoever. We then shared the Chicken Shawarma Plate. First bite and we found it to be different from the competitors/our usual favourites. Second bite and we really liked it! The sauces were slightly different, but very good. This was the first time where the potatoes were seasoned well and served with red sauce. 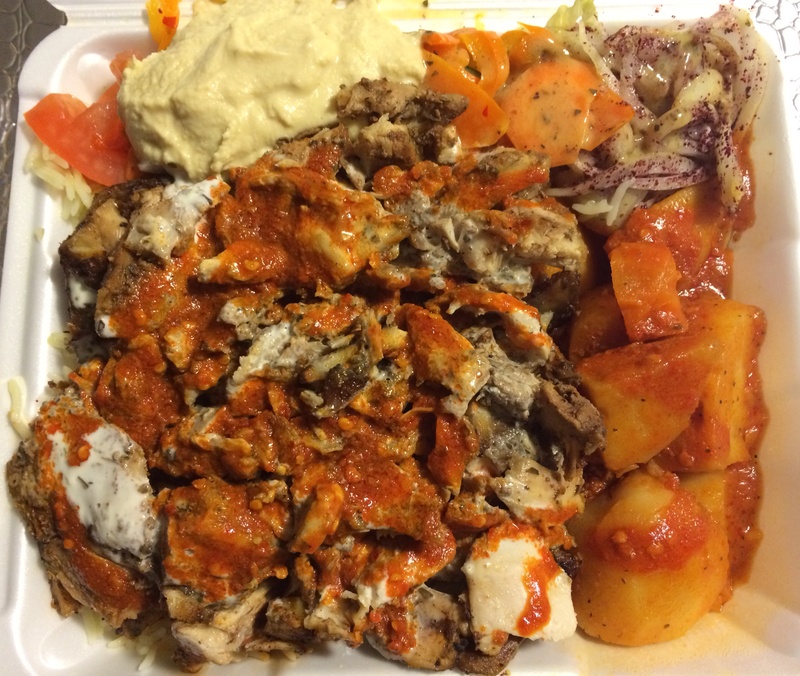 Though you may not be able to see rice in the picture, Chicken Shawarma plate was served on a bed of rice. It wasn’t plain rice, but were well-seasoned rice. Shawarma chicken was also cooked and seasoned very well. The sauces (red sauce, white sauce, garlic sauce and hummus) altogether just raised the shawarma plate to another level. We’re not saying it was out of the world, rather the sauces and seasoning were somewhat different, so we enjoyed the unique taste very much. We did find Chef’s Door to be slightly pricey. Our mouths are watering as we are writing this review and can’t wait to go back! Chef’s Door has several locations in Oakville and one in Mississauga. We visited the Mississauga location. Categories: Restaurant Reviews | Tags: canada, Chef's Door, Chicken, chicken shawarma, Chicken Shawarma Plate, Chicken Shawarma Wrap, GTA, Halal, Halal Food, Halal Food Review, Halal food toronto, Halal Restaurant, Middle Eastern, Middle Eastern Food, Mississauga, shawarma, Streetsville | Permalink.